She did it again! Patti Lupone stopped her show Gypsy On My Mind, June 21 when she was distracted by an audience member texting. You go La Lupone! Some people need to learn about theatre etiquette. So don't get LuPwned and read about it here. 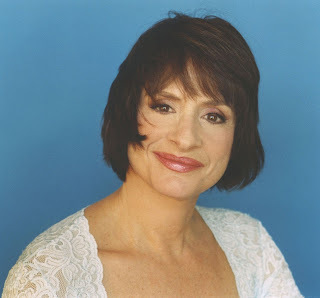 Addendum (6/23 10:51 am): read about Ms. Lupone's statement about the incident here. And to read about the atrocious audience behaviours (I mean common! Eating chicken in the front row!) that she was talking about, click here. I think Lapone has a major diva complex. Especially after I heard her in youtube yell like a tyrant on stage on a different earlier incident but I do see her point. Some of those activities are distracting to the performer. The talking, flash photography, phone light and phone ringing are all distracting to the performer and co-audience and should be stopped. Ideally stopped by the asher and not the performer. What if I was at the front seat and the light of the stage is bright enough that my phone light when I check a text message is not at all a factor, will I get shout at by my miss lapone? What if I was tired and I closed my eyes for a bit and she sees me, will I get reprimanded by her for not giving her my full attention? If the texting of this offender in the article was distracting because of the light or sound from the phone, then I say Lapone was somewhat justified for reprimanding him. But if the texting light or sound was not the issue but rather the fact that the guy was not paying attention to her, then I say she is just being a major diva. Get real miss lapone, you can not command the attention of all audience 100% of the time. There are certain activities that audience do that takes the attention away from the performer but as long as they are not distracting to the other audience and performer, it should be tolerated by the performer. After all, the aundience pay for the food in their mouth. I applaud Patti Lupone for sticking to her guns. We hand over our hard-earned money to watch these shows, not to listen to other people's ringtones or conversations, or watch them text. What could be so important that people can't even turn off their friggin' cellphones for 2-3 hours? If you can't be away from those *#$# phones then don't come to a show. Everyone is inconvenienced by these misbehaving audience members. Common courtesy and basic human decency has disappeared. The performers and actors rehearse and work their butts off day in, day out. If someone is so disinterested in what they're doing on stage then leave the theatre. I don't mind an actor interrupting a show to call out bad behavior. In fact, I wish they'd kick out the offender. From what I've heard about the report, it was the LIGHT that was distracting not the fact that the person was not paying attention to her. Yay for La Lupone for having the balls to call that out. We go see LIVE theatre to be in the MOMENT and immerse ourselves in a different world. That MOMENT is so fleeting and ephemeral it won't happen again so WHY oh WHY would you take yourself and people around you out of that world to check your message in the middle of the show??!! What's so important it can't wait until intermission or the end of the show? It's only 2-3 hrs. If it's that important then leave your seat and go to the lobby to check it. People nowadays feel that since they paid their ticket they are ENTITLED to do whatever. Lani is right common decency and courtesy has disappeared. It takes a lot of concentration to do a scene much more sing in a show and a bright light like that can distract a performer much more the audience around. People think it's no big deal just minor things but if someone doesn't say something it will just get worse as it already has from the WSJ article. So how will people learn? If they're called out in public like that! I bet that guy will never text in a show anymore. I have always agreed with you both that distracting behaviors/activities should be stopped. The point that I don't agree is the actors themselves stopping it in the middle of the show. There should be more usher or another better way of policing these distracting behaviors from the audience. Pinky talks of the MOMENT being gone if some other audience is distracting. What if I was seated in a section very far away from that distraction and the actor all of a sudden stopped and starts yelling at the offender, then my MOMENT was taken away from me as well. We all paid good money to watch a performance/show, not a mad/crazy diva yelling like a rabid female dog. well, the house manager and ushers are not policing lately so the rampant ringing and texting are happening. Sometimes too by the time the ushers have made to it where the person texting is sitting, he's hidden his phone and can't see which one is it in the dark. the actors see exactly where the light comes from from the stage and it distracts them. they react when they've been provoked and when it's really very distracting already. a lot of them are now taking it upon themselves to put people in their place because again, nobody is policing and even the voice announcement at the start of shows of no texting and turning the phone off are not followed by moronic audience members. it's not only patti lupone but in fact the following actors have stopped the show because of cellphones: Kevin Spacey in Philadelphia Story, Richard Griffiths in The History Boys and even Neil Patrick Harris at the 2009 Tony Awards when he said "the moron in row J seat 11 turn your phone off". There are more that i've read about. as for sitting what you said "what if i was seated in a section very far away from the distraction and the actor stopped and starts yelling at the offender" - the yelling that you mention by Ms. Lupone was ONCE and it was after several flash photography that was taken that distracted her. This time she tactfully talked to the offender. But that's beside the point, I would gladly give up my MOMENT for Patti to put someone in their place for not having common decency and respect during a performance. i am sure our opposing opinion on this matter reflects the opposing opinion out there. hopefully there will be a better way of policing these distractions so that the actors won't have to do "lapone" themselves. It is just unfortunate that people have lost all common sense and become so rude that they have to be publicly humiliated and shamed. People should know better.